At SFUMC our heartbeat is children and families, and our passion is doing life together. We are dedicated to partnering with families to help children in becoming fully devoted followers of Jesus Christ. We strive to provide a welcoming, encouraging, and fun place for children and families to be strengthened in their faith. Our aim is to equip the Next Generation for great things and empower them to lead today. Sunday school : Children's Sunday School Classes are in the the education building. Nursery: Ages 0-4 years : Our nursery is available during all worship services and bible studies. link life experiences and to practice what they are learning. stories and applying the biblical principles learned that week. Kids Church : Children grades PK - 5 are released from our 10:55AM adult worship service to participate in Kids Church. Kids Church is located in the Education Building. 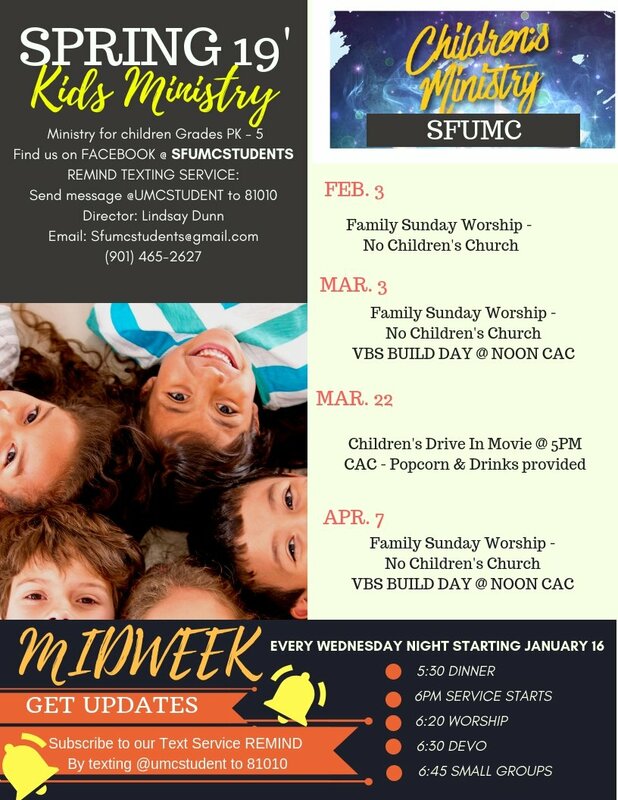 Family Sunday's : The first Sunday of each month there is no children’s church, instead we invite our children to participate in our adult worship services by worshipping as a family, with their family. At each of our main sanctuary entrances there are Family Sunday activity bags, please pick one up before service and return it after service. Inside each Family Sunday Activity bag children will find a sermon activity sheet, crayons, take-home discipleship kit, and of course my favorite….. Treats. It is my prayer that you and your families will enjoy these bags as a wonderful opportunity to help our children engage in worship as we strive to help families lead in discipleship at church, and at home. First, all of our children's classes are located in our education building on the left side of our campus. There we will meet your family and then one of our volunteers will lead your child to their age-appropriate room. 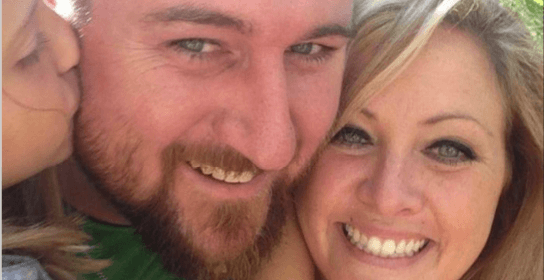 Lindsay Dunn is a passionate follower of Jesus Christ who has 8 years of experience in student ministry. She loves seeking out and using innovative ways to reach students, families, and the local community. Mrs. Alice Holden is one of Somerville UMC's very best treasures! 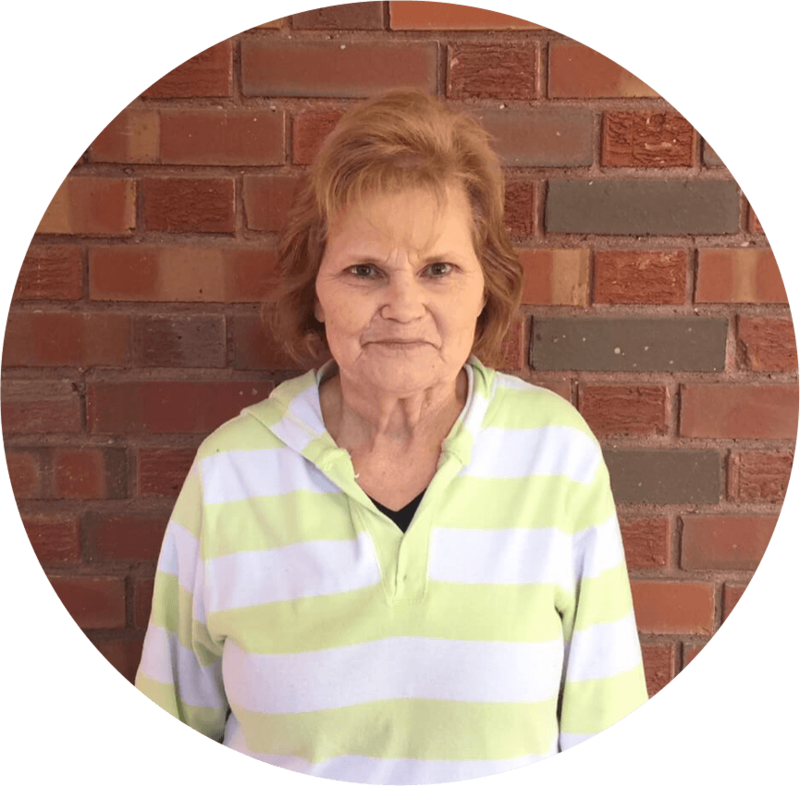 She has been with us in the nursery for 15 years and is one of the most friendly, nurturing, and energetic people you will meet. 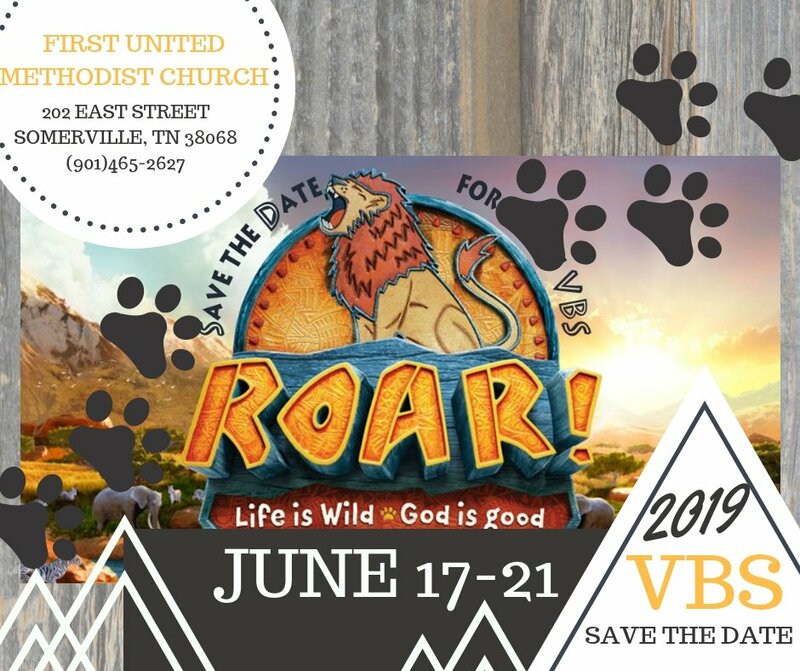 If you have further questions concerning our children's ministry or are planning on visiting Somerville UMC with children, simply fill out the form below and our Children's Director will get back with you soon!